Our annual group 14er trip was a small gathering in the Lizard Head Wilderness this year. We had a great time with Annie and Mike Goodwin – others had excuses – Chris Park was in New Zealand, Jack and Claudia are getting ready for three months in S. America, Tim and Amelia Poppe are having a baby. Really? We made the trip anyway, beginning in Telluride, where we all bought new climbing helmets to take the place of helmets that were safely tucked away in the garage at home. Part one was a backpack into the very popular Navajo Basin, staging area for climbs of Wilson Peak and Mount Wilson. We successfully climbed class 3 Wilson Peak on day two. Morning light breaks through clouds just after sunrise and grazes the flank of Gladstone Peak (13,913') and Mount Wilson's summit. 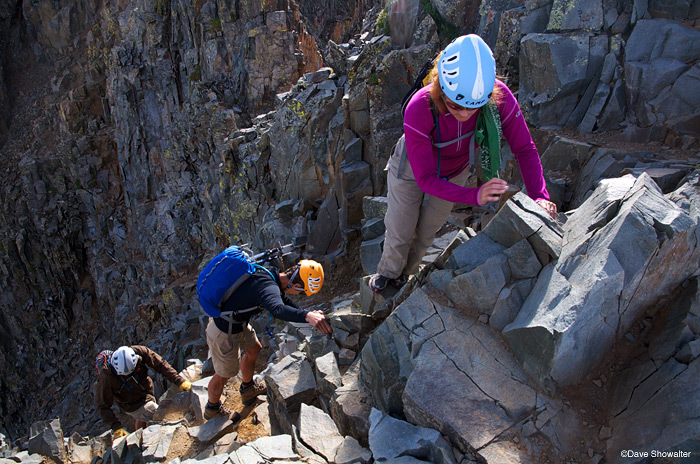 (14,246') The vantage point is Rock of Ages Saddle, on a climb of Wilson Peak. The view to Dolores Peak (13,290') from the summit of Wilson Peak (14,017'). After climbing Wilson Peak, we hiked around to Kilpacker Basin to ponder a possible climb of El Diente, “the tooth”. E.D. is considered class 3, but with the notoriously rotten rock and exposure, I’ll go ahead and give it a class 4 rating. We camped with in a high meadow in Kilpacker Basin, where we marveled at E.D’s vertical rock face. Mike and Annie had to head back the next day, so Marla and I gave it a shot on El Diente. We started at 4 am and climbed to 13,700′, where we chose to descend and try another day. 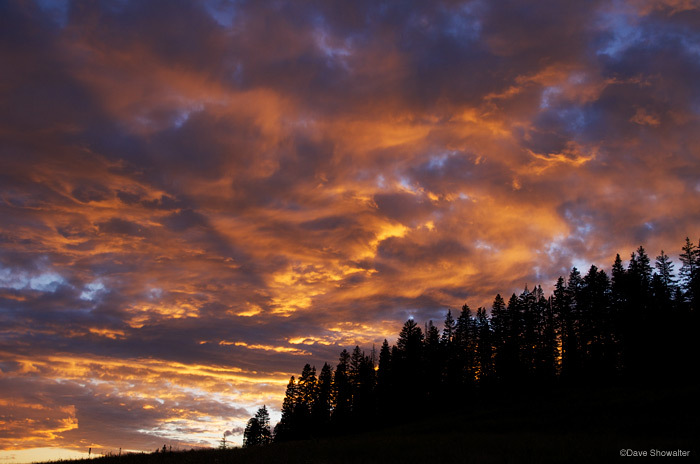 Sunset from a high meadow in the Kilpacker Basin. 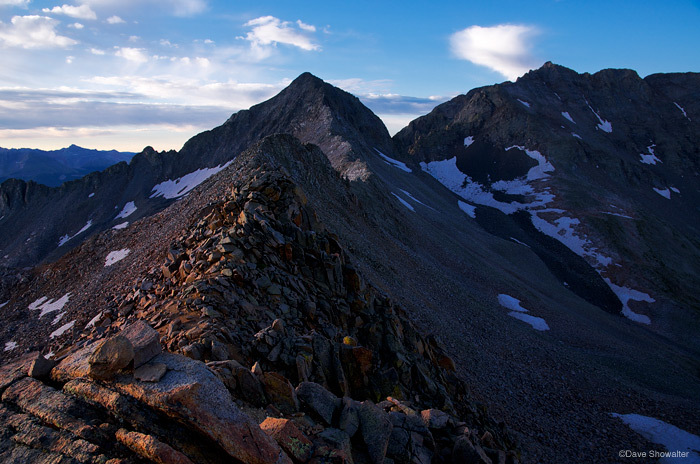 Gendarmes guard El Diente Peak's (14,159') summit and catch warm sunset light. 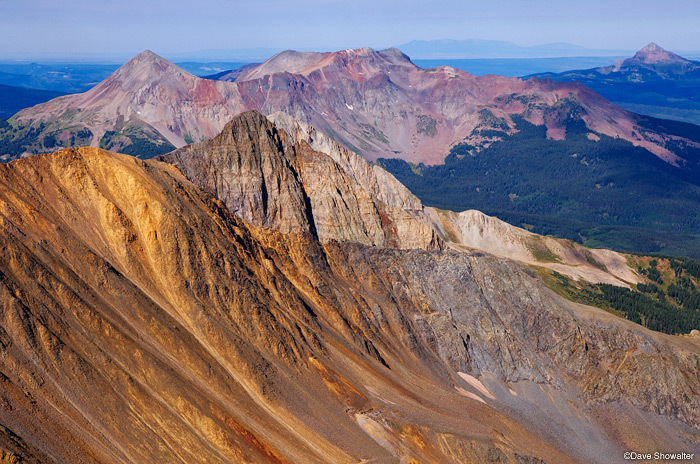 El Diente, which means "the tooth" is Colorado's most western 14er, with nothing to block the setting sun. Happy Campers, L to R: Mike Goodwin, Annie Goodwin, Marla, and me, backed by the mighty El Diente. After some long days on the trail, we chilled in Telluride for a couple of nights, then set out for our first ever trip to Ice lakes Basin, in the San Juan National Forest. What a great place to just go wander around! 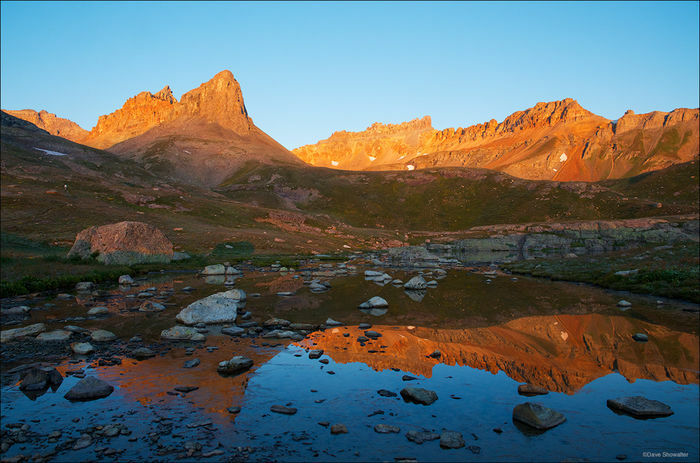 The Golden Horn (13,765') and Pilot Knob (13,738') cast a brilliant sunrise reflection in one of the Ice Lakes. I think Marla is laughing because I asked her to take just one more step forward. The pointy mountain in the background is Fuller Peak (13,761′). ← Previous: "The View From Above – On The Cover!" Looks like a fun trip, Dave! 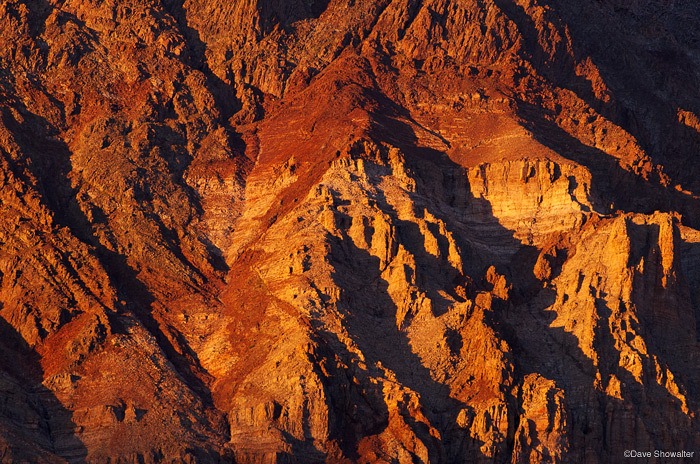 That Kilpacker Sunset is gorgeous… I’m bummed we couldn’t meet up with you guys for either of those hikes. We’ve got four more days here and I hope to do something up high before we leave! Wow, Dave those are some amazing shots! We’re definitely looking forward to the next great adventure with you guys! Thanks Mike! You two are great camping and climbing buddies. How sweet! Thanks Mom and Dad!